3. the dog leash can be lockup to some place, such as the car's hook or other poles that are very convenient for you when you need leave some time. 4. 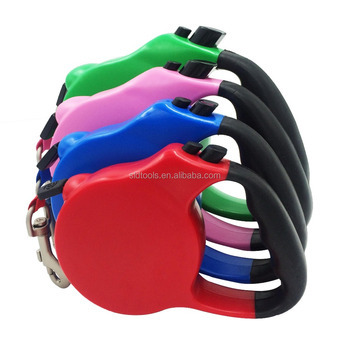 Our Product with advance devise and fashion style, all of our customers give high acclaim for our product-dog leash. If you have special demand, please tell me your request about material, size, ornaments, buckle, packing and so on, then we will give you a quick response.